Celebrity-endorsed products have always been used to help companies win their way into our hearts (and savings accounts). While many people believe that celebrities couldn’t possibly convince them to purchase something they don’t want, research suggests otherwise. In August 2012, academics from Carnegie Mellon University published a paper showcasing the worth of celebrity spokespeople. They found that Tiger Woods’ celebrity sponsorship between the years of 2000 and 2010 led to $103 million in sales at Nike. It has also been argued that Michael Jordan’s celebrity image had a tremendous impact on NBA and Nike sales. The Air Jordan shoe line he started nearly 30 years ago still controls nearly 60 percent of the shoe market. It appears that banks have figured out that using celebrity advertising to promote products may help to boost their growth too, which is why so many have turned to stars for advertisement campaigns. Some celebrities have also found out that they can boost their income by teaming with banks, while other stars are slapping their names onto prepaid debit cards. Below are six celebrity-driven bank promotions that have encouraged some to get out and make some purchases over the years. After suffering a break up with his girlfriend because she thinks he’s too boring, Jack sets out to prove he’s anything but by using all of the perks of his Citibank Private Pass, including visiting a museum where he spends time with a portrait of Marilyn Monroe, taking a cooking class with Giada DeLaurentiis and hanging out with none other than Alicia Keys backstage at her concert. Doesn’t this make you want to get your Citibank Private Pass? 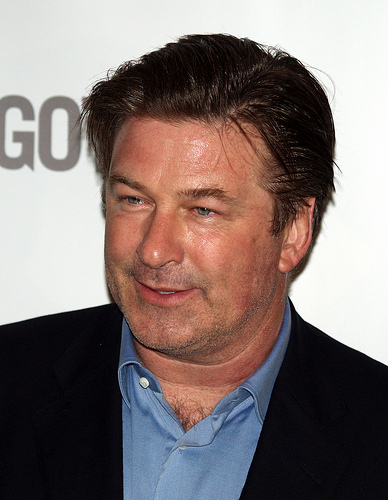 Alec Baldwin has been working with Capital One for a few years and has created a number of funny ads promoting the bank’s Venture Rewards credit card in the process. Whether he’s talking about the perks of being able to book any airline anytime, or snagging double miles on every purchase, there’s no doubt that his ads make commercial watching a lot more interesting. Sam Waterston of Law and Order fame has participated in a number of ads for online trading and investment firm TD Ameritrade. However, he’s not the first Law and Order star to promote products for the company. Both Steven Hill and Jerry Orbach have participated in ads as well. So what do you think? Does Waterston make you want to jump on the TD Ameritrade bandwagon? Aziz Ansari from NBC’s Parks and Recreation is known for being a funny actor and comedian. After teaming up with American Express, he also showed how to lose a girl in just two dates with the company’s Sync social-media discount feature. Trying to win her over by showing how much they had in common (buying a kayak and tuba, learning to skydive and purchasing a piece of modern art, all of which he learned she liked through Facebook) he only managed to freak her out. Everyone knows Regis Philbin and Kelly Ripa from their show Live! with Regis and Kelly (prior to Philbin leaving in 2011), but the duo also spent time promoting products and services for TD Bank, including its online banking option that allows customers to check their balance and more from their computer or phone. Unfortunately, Philbin and Ripa were dropped from the ad campaign in 2012 when the company decided to start working with real customers instead. Bank of America used Kiefer Sutherland in its bank promotions for years, though most have no idea that he played any role at all. Unlike most celebrities who take part in ads, Sutherland’s presence is experienced only through his voice-over. Could this mean that a voice-only celebrity ad is an effective way to get consumers to purchase bank products? 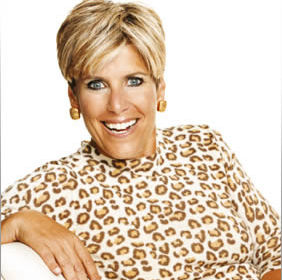 In early 2012, Suze Orman announced the release of her prepaid card known as The Approved Card. Promoted as an option for people who need checking account options but aren’t bank customers, the card offers a number of features, including the ability to add money through direct deposit and withdraw cash from ATMs. Some have criticized the card due to fees customers can rack up. But overall, experts have found it is a relatively practicable option for individuals looking for a checking alternative. Russell Simmons introduced his Visa prepaid debit card to the public in 2003. Since the card’s launch, Simmons faced an enormous amount of criticism — along with an investigation initiated by the Florida Attorney General’s Office — for hidden fees that pushed the card’s cost beyond its advertised $16 a year. Shortly after Suze Orman released her card, Simmons announced plans to slash fees in order to accommodate growing demand for his product. Fees he planned to reduce included those for bill pay enrollment, bill pay transactions and replacement cards. 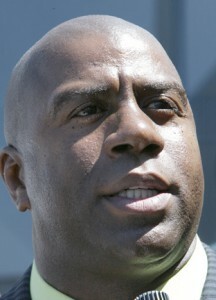 NBA great Magic Johnson is known for being a mega-entrepreneur. In addition to owning a nationwide chain of movie theaters, he is a minority owner of his former team, the Lakers, and in 2006 created a contract food service with Sodexo USA called Sodexo-Magic. In June 2012, he made headlines again when he introduced the Magic Prepaid MasterCard, which some say isn’t as good a deal as Orman’s due to higher costs and the inability to pay bills online. Justin Bieber is the latest celebrity in a long line to promote pre-paid debit cards. In January, it was announced that he would be backing a yet-to-be-named card being released by BillMyParents, which already offers the SpendSmart prepaid card. In addition to the card, Bieber is expected to help the company promote financial literacy by producing videos in the near future. Whether celebrity advertising works to sell products or not, it’s clear that companies believe in the formula and most plan to continue using it as a tool. So if following the advice of celebrities when considering whether to make a purchase is your thing, you’re sure to find plenty of tips on which banking products are right for you by simply enjoying your favorite TV show’s commercial breaks. Did You Believe Any of These 5 Banking Myths?